Hello! So today I am sharing a few more Gelogic polishes from Pretty Woman that I received in a giveaway! 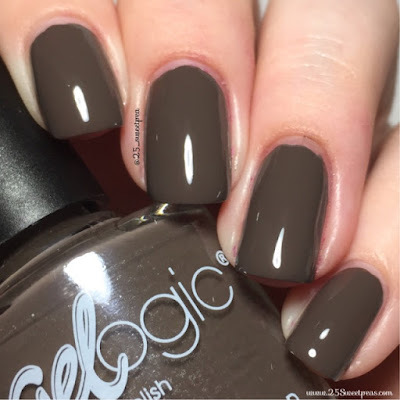 :) For those of you who don't know Gelogic is not a "gel" polish. There is no light needed or a special way to remove. It's a polish that is supposed to last like a gel polish in wear and shiny intensity. Nail It! Magazine wrote an article on this topic awhile ago and described it as a "hybrid" gel polish. A lot of brands are doing this at the moment. I know there can be a lot of confusion when you are out and see gel on the name yet no light is needed so... 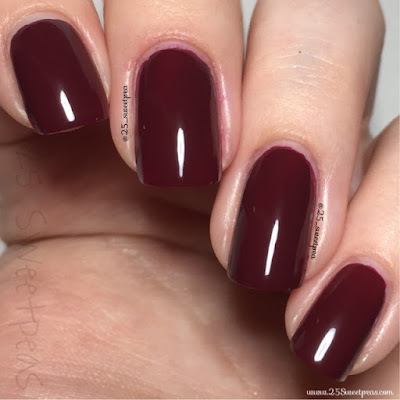 I have never used an actual gel polish only this "hybrid" version of it so I can't really compare to actual experience, but from what I have read and heard a real gel polish can be a bit hard on your nails. This polish I am going to share really seemed nice and seemed like any other polish! :) It did dry pretty shiny which is nice, and I can't really say how long it lasted because well I wanted to do some art! ;) Now on to today's polishes. This is two coats of Cranberry. It had a nice formula. The color in the photo appears to pull a more burgundy color but on I feel like it had a deeper Berry tone. Sadly with reds, pinks, and Marsalas the camera kind of freaks out a bit. For something real quick and fun I added some golden dots! I used Venique Boat Shoe Cast Away which is my favorite polish by Venique for sure! It's just a really nice gold. 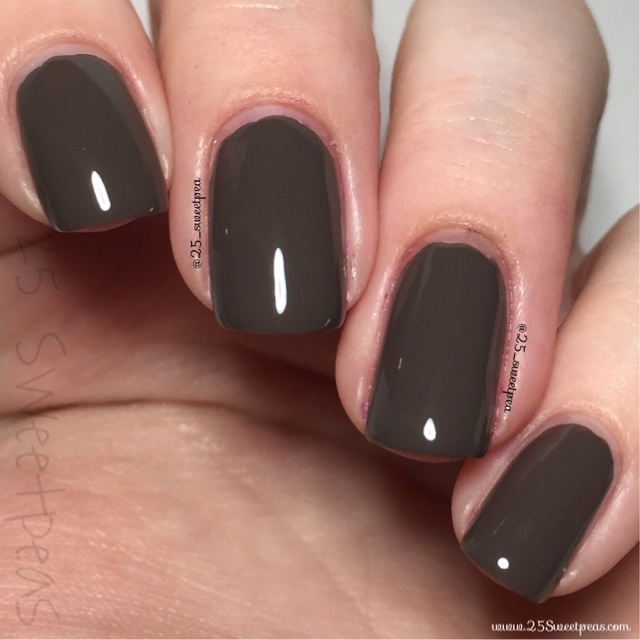 Next up is Totally Taupe which is a very hard to describe. This is one coat and I am not sure how to put this color into words. In the bottle it appears to be a grey brown and then yet I feel like I see a bit of an olive green to it. So not sure how to describe it! :) I don't think I would personally wear this on its own but I feel like it would be a good polish base for some sort of art. I always find it how you can like polishes differently. Like you may have one polish you love to wear solo, but hate to use for art and vice a versa. Anyone else have ones like that? Well I hope you all enjoyed this post! Tomorrow we shall have so fun Christmas art! Sound like fun?